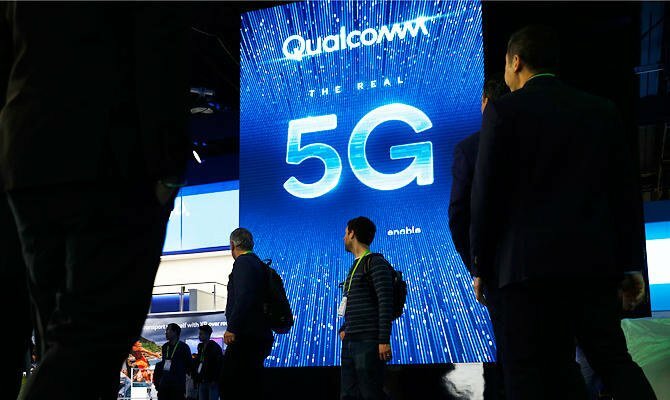 As a direct result of the licensing deal, Intel has announced its "intention to exit the 5G smartphone modem business" and focus its efforts on infrastructure opportunities. This license included a two-year option to extend, and a "multiyear chipset supply agreement" for good measure. This means that the pair will stop any further litigation (as far as this particular matter is concerned). A jury of six men and three women was in the process of hearing opening arguments from Apple's and Qualcomm's lawyers, at a federal court in San Diego, when news of the settlement broke. Among other things, Apple alleged that Qualcomm said it would not supply modems for the iPhone unless Apple agreed to pay higher licensing fees for a number of other patents. Qualcomm stock rose more than 20% after the news broke, boosting its market cap by about $14.5 billion to more than $84 billion. No matter the cost, at least Apple has made sure that won't be a problem. Previously, Apple had used only Qualcomm's modem chips for its older model iPhones. That trial is now over, as are all of Qualcomm and Apple's other legal tussles across the world. As long as the dispute was ongoing, Apple was likely going to have to use chips from Intel, and Intel is reportedly "behind schedule" on producing a 5G chip. Qualcomm hit back with a countersuit accusing Apple of instructing its contractors to withhold royalty payments to Qualcomm - and the litigation snowballed from there. Interestingly, I started writing an editorial on Monday called Apple and Qualcomm Need Each Other in which I would have argued that these companies shouldn't be fighting but should instead be each other's biggest partner. The more Apple innovates with unique features such as TouchID, advanced displays, and cameras, to name just a few, the more money Qualcomm collects for no reason and the more expensive it becomes for Apple to fund these innovations. The trial ballooned into a $27 billion, five-week affair with Qualcomm wanting damages of its own for breach of contract. His comment comes a day after CNBC published https://www.cnbc.com/2019/04/15/cnbc-transcript-ren-zhengfei-huawei-founder-and-ceo.html an interview with Huawei founder Ren Zhengfei that the firm was "open" to selling its 5G chips to Apple. We know that there have been rumors of problems between Apple and Intel, as relates to Intel's 5G modem, specifically.